Seems strange to be posting an Electro type track, probably been almost 3 years since something like this has really caught our interest. 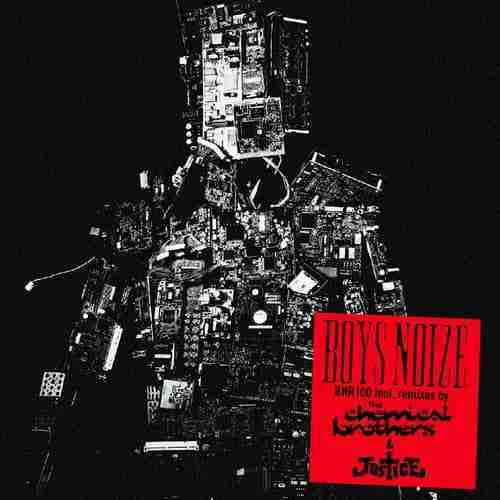 But when you get Boys Noize and Justice on the same release it’s a bit like an old flame getting in contact and stirring up long forgotten fond memories. For us the new Boys Noize material has been a bit too Skrillex in sound, where as this remix is very much Justice doing their best Daft Punk Tron impression. To further enhance this package Alex Ridha informs us that another act we hold very close to our hearts the ‘Chemical Brothers‘ are also on this remix package, with their take on XTC. This post is for those BBB fans among you who have been with us from the beginning, and have since switched Electro hedonism for a more civilised and respected profession.